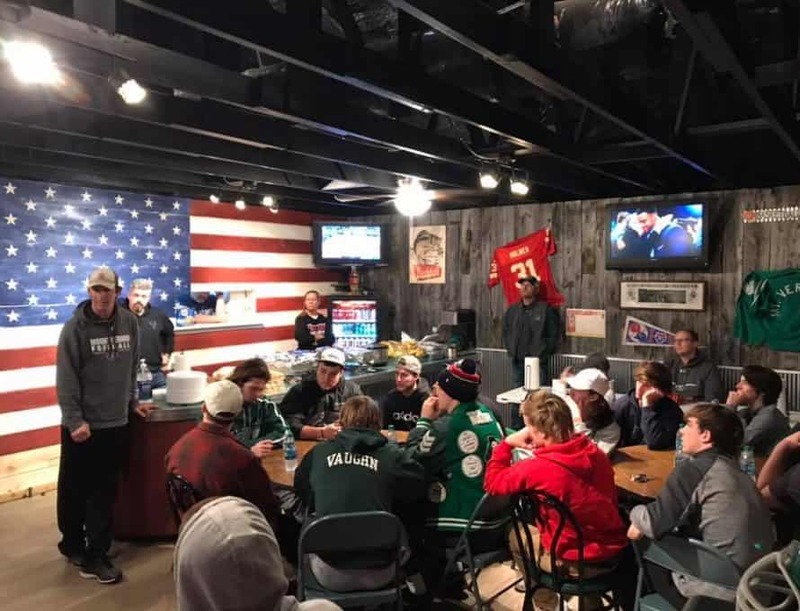 MOUNT VERNON – Sports jerseys line the walls and the savory smell of smoked ribs fills the air as Hilda Horner bounces from one table to the next, making sure everyone has what they need before kick-off. It’s hard to believe that just last year Horner was in jail; arrested and taken off the streets after another one of her downward spirals with drugs and alcohol. Now, only a few months later, she’s practically a permanent fixture at Whosoever’s, volunteering to help launch this hangout place that will give more people like her a safe and healthy alternative to the bar scene. “For me this place is a way to be a part of the community in a positive way,” Horner said. Whosoever MV is a non-profit organization that relies on the generosity of individuals, local businesses, local unions, and area churches to keep it going. Even the owners of their building—which was most recently a bar called Sherry’s Tavern before the Whosoever’s team of volunteers began renovating it—are providing the space rent-free. Regular hours are 7 a.m. to 7 p.m. On Saturdays and Sundays they open after church until 7 p.m. While Whosoever’s loves to serve food and food is certainly their biggest draw, Barnes said they don’t want to be known only as a restaurant. “We are much more concerned with building relationships with new people and strengthening the ones we already have,” he said. And he said one of the greatest blessings of Whosoever’s is to help celebrate some amazing recovery stories in the lives of the people who come there. For example, Barnes said they recently celebrated the sobriety of two women who had spent most of their lives addicted to methamphetamine—one was so notorious she was barred from all Wal-Mart stores in southwest Missouri. Barnes’s heart for people, their struggles, and their desire for community comes from his personal testimony involving drugs and alcohol. But then at the age of 22, when he was married with two children at home, Barnes said the Lord got ahold of him, saved him, and eventually helped him realize that the life he had been living was not only damaging him, but it was causing grief to those closest to him. “God has forgiven me for my past and Whosoever’s is one result of the question God continues to lay on my heart, ‘What are you doing for the lost?’” he said. And so far the community’s response has been excellent. Word is spreading and more people are coming out each weekend so recently they voted to expand for more seating and build a game room that will include pool tables, shuffleboard, darts and a jukebox. They also have plans for a patio seating area that they hope will make a nice venue for live music when the weather gets warmer.